TV: NBC Sports Chicago: Neil Funk and Stacey KIng: 6:30 tipoff. RADIO: AM 560. Chuck Swirsky, Bill Wennington and Steve Kashul. 6:15 pre. 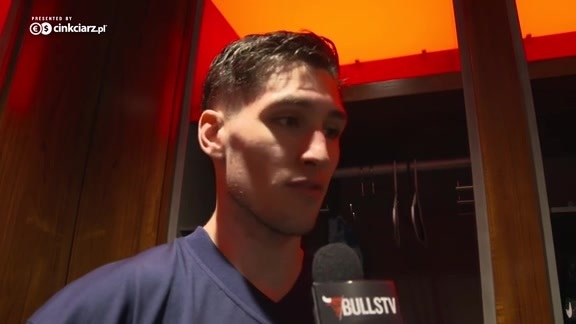 LEADING SCORERS: Bulls: LaVine: 23 ppg. New York: Mudiay: 14 ppg. 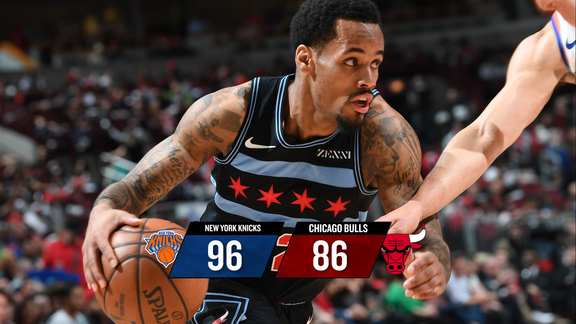 LEADING ASSISTS: Bulls: Dunn: 6 per. New York: Smith: 5 per. CCI PREVIEW: The Bulls and Knicks will see plenty of each other over the next week and a half, meeting twice on each other’s home court. The Knicks cleared roster room for this summer’s free agent sweepstakes with the possibility of adding two “A” list free agents. Whether or not it comes to fruition remains to be seen but the Knicks, as is the case with the Bulls, will come away with a high draft choice this June. Their 2018 First-round-pick pick Kevin Knox is playing better of late, but 2017’s first round choice, Frank Ntilikina has been shutdown with a groin injury. He remains valued by the organization but as we know, in the NBA, you’re given a certain amount of time to produce or else. Mitchell Robinson has proved to be a steal. Robinson was drafted 36th overall and has been a shot blocking magnet with 147 on the season. He dropped out of Western Kentucky before he played one college game electing to prepare for the 2018 draft. Robinson has become a building block for the Knicks. His 21 rebounds against the Raptors broke a 50 year franchise record for most rebounds in a single game by a Knicks rookie. BULLS UPDATE: The Bulls have signed forward JaKarr Sampson to a 10-day contract as a Call-Up from Chicago’s G League affiliate the Windy City Bulls, pursuant to the NBA’s hardship roster rules. Sampson (6-9, 215) appeared in 24 games this season for Windy City, posting averages of 21.1 points, 9.2 rebounds, 2.0 assists and 1.17 blocks in 30.2 minutes per game. 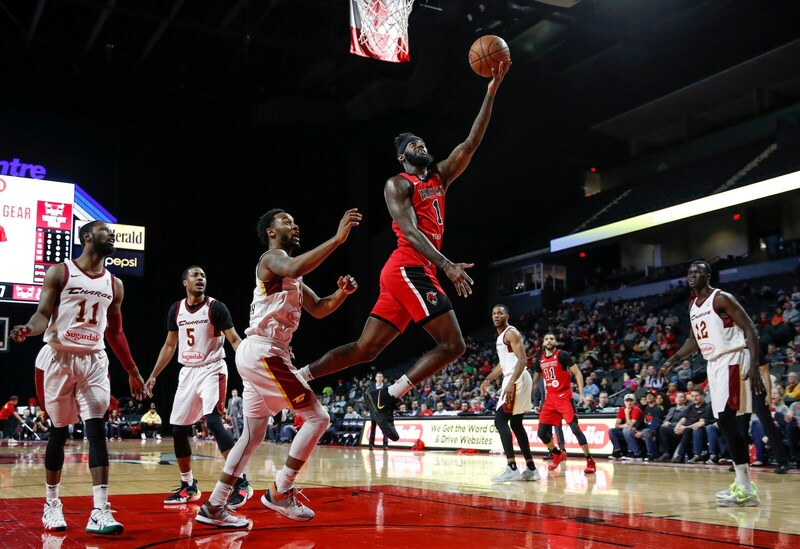 In Windy City’s first franchise playoff game on March 27 versus the Westchester Knicks, Sampson posted 15 points to go along with eight rebounds and a game-high three blocks in the loss. Prior to Chicago, he spent the 2017-18 season with the Sacramento Kings as a Two-Way player. He played in 22 games (6 starts) and averaged 4.7 points, 3.5 rebounds and 1.00 blocks per game in 15.6 minutes per contest for the Kings. Sampson also saw G League action with the Reno Bighorns where he appeared in 35 games (33 starts) and put up averages of 17.9 points, 7.1 rebounds and 1.06 steals in 28.7 minutes per game. A veteran with three years of NBA experience, Sampson holds career averages of 5.1 points and 2.6 rebounds per game in 169 contests (78 starts). A native of Cleveland, Sampson spent his first two NBA seasons with the Philadelphia 76ers and Denver Nuggets after being named the 2013 Big East Rookie of the Year at St. John’s University. Sampson will wear No. 41. CCI SPECIAL ANNOUNCEMENT: Happy Birthday to Robin Lopez. He is an outstanding person who happens to play basketball at a very high and competitive level. His kindness to others is felt throughout the locker room and organization. Washington 95 Denver 90. The Nuggets Nikola Jokic was tossed in the fourth quarter. The Wizards held Denver to 28 points in the second half. Atlanta 136 Milwaukee 135 OT. Trae Young with the game winner off a deflection. Young scored 12 points-16 assists. Justin Anderson with 24 and a career high 12 rebounds..big weekend for the ex Virginia star. Tim Frazier had 20 points-15 assists for the Bucks. Dallas 106 Oklahoma City 103. Trey Burke—yes, he’s alive and well wearing a Mavs uniform with a 25 points-8 assists game. The Thunder are 7-13 since the All Star break. Russell Westbrook collected his 17th technical - his next will result with another suspension. Los Angeles Lakers 130 New Orleans 102. Alex Caruso playing in just his 20th NBA game scored a career high 23 points. LA played without LeBron James. The Pelicans without Anthony Davis. Sacramento 113 San Antonio 106. Spurs Head Coach Greg Popovich wasn’t a fan of last night’s officiating and was ejected. Despite the loss the Spurs clinched their 22nd straight playoff appearance. Golden State 137 Charlotte 90. I flipped the channel in my hotel room between this game and Denver-Washington. This was a beat down by the Warriors. The Hornets are toast. Golden State leads Denver by one game with six left. Los Angeles Clippers 113 Memphis 96. The Clippers have won 13 of 15. They ended March with a 13-2 record, tying the highest winning percentage in he month in team history set in 2014.